MANILA, Philippines - The University of the Philippines on Monday, January 12, 2015 officially released the College Admission Test (UPCAT) results for AY 2015-2016 in time for the target date as announced through general information guidelines on their website. UPCAT was administered last August 16-17, 2014 in various campuses nationwide. 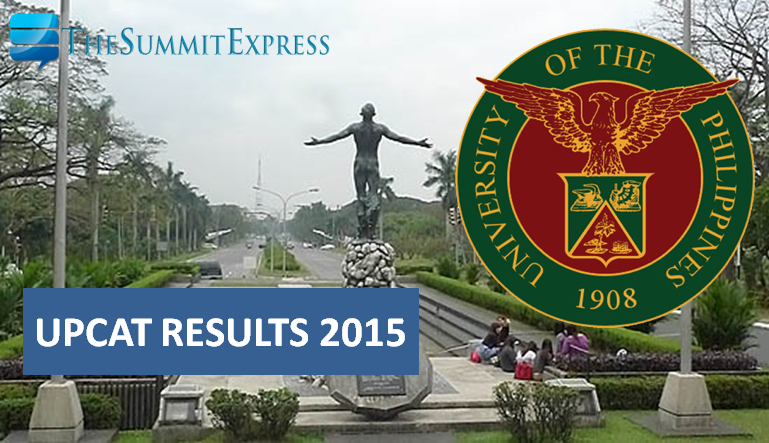 UP announced that a total of 87,000 took the test. The official list of passers is now available online. Due to peak of traffic on UP website servers as the results were released, UP used mirror websites as an alternative to check results. UPCAT results can be accessed also here and here. "Official UPCAT results are posted at the Office of Admissions and each examinee will receive official notification by mail. Should any discrepancy in reporting exist, the information contained in the mailed notification shall take precedence over the results posted on the web. ", UP said.